We offer a full How to choose a builder service, please browse below. What to Expect From Barretts Roofing and Building Contractors. Make sure that you understand the quotation and agreement and that it is signed and accepted by both you and Barretts Roofing and Building Contractors. Ensure that the site is cleared and ready for Barretts Roofing and Building Contractors to start work. Make sure Barretts Roofing and Building Contractors has unhindered access to the site. Develop a good working relationship with Barretts Roofing and Building Contractors. If you have any concerns about the work, discuss them right away. Keep extras to a minimum and instruct Barretts Roofing and Building Contractors in writing about all variations to the specified work. Make any agreed stage payments or reasonable up? front payments promptly. Report any urgent defects to Barretts Roofing and Building Contractors promptly and in writing. List any non-urgent defects for Barretts Roofing and Building Contractors to correct at an agreed time. Barretts Roofing and Building Contractors will try to make sure that you have all the professional advice you need on the project if it is a large or complex job. This may involve the support of architects, surveyors or other specialist professionals. 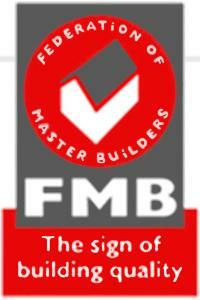 Choosing a builder who is a recommended can mean a really good start with any building project. Only builders and specialists who have proved their skills and good business standing should be chosen. A recommendation is widely accepted as the hallmark of a builder who takes pride in the quality of their work, and who matches it with an equally well run business. A good builder will never quote on a project for which they have insufficient time or are otherwise unsuited to undertake. They will make sure that they have sufficient insurance cover for the contract. What form of agreement will be used between you (For instance, the Crystal Mark approved FMB Plain English Contracts which are clear and un-mistakable). Whether the work is covered by an insurance? backed warranty, together with details of any such cover. Payment terms. Alternatively, your builder may quote a day work rate and provide a copy of standard terms and conditions. Your builder will proceed with the work according to the agreement between you, and will brief you regularly on progress. If there are unavoidable problems or delays you will be informed of these as early as possible. Your builder will supply you with samples of materials and fittings for prior approval. If there are changes to the work specified or extra costs, these will be confirmed in writing and agreed with you before such work begins. Your builder and their employees will at all times treat you and your property with respect and ensure that the working site remains a safe and healthy environment. Your builder will leave the site clean and tidy and ready for use. A date will be arranged for your builder to return and complete any defects, which may have arisen during the first few months. A few things you can do to help your builder deliver a first class job. Help yourself and your builder by following these simple guidelines to make sure that you will both be proud of the finished result. Get competitive quotes from more than one builder and make sure they understand exactly what you want done. Ensure that you have sufficient funds available when needed. Choose a builder with a proven track record in the kind of work you're having done.